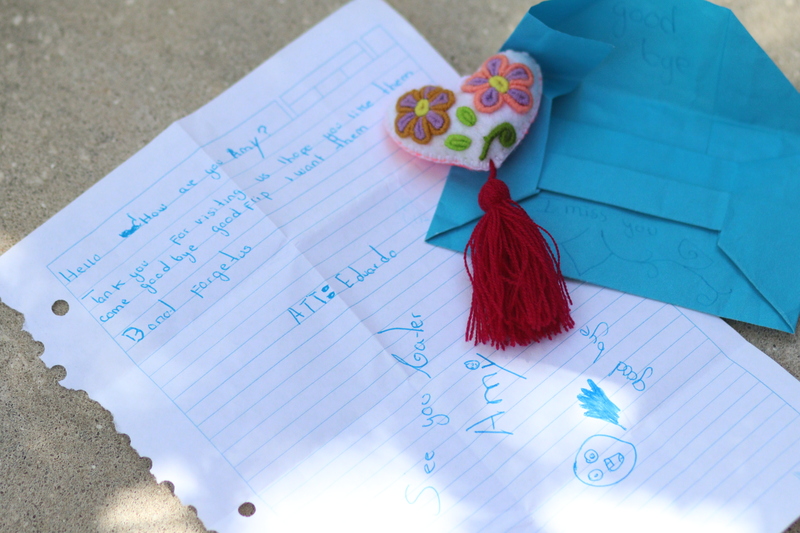 "Hi, my name is Amy Lebanoff, I went on the summer Mexico trip with the Burnett Honors College. We spent the spring semester putting together our plans for our service projects, mainly focusing on teaching English and math. We prepared by learning about Mexico’s culture, and had guest speakers to learn what we couldn’t from textbooks or previous travel experiences. The trip was a little over two weeks, so we had some time to get familiar with the city. 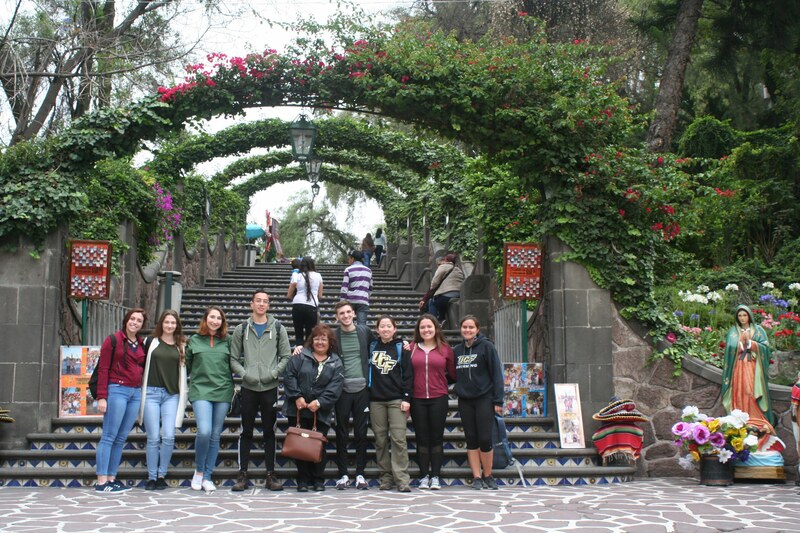 We spent a little time in Mexico City being tourists and seeing different cultural attractions. Next, we went to a more rural area and spent about a week and a half there. In addition to teaching, we also worked at a day shelter for kids whose parents worked in the city. We played games, worked in their garden, ate lunch with them, and just spent time to let them know that people cared about them. We started off in Mexico City, and I enjoyed the way the trip is set up, because you get to go into the country, get acclimated to the culture, the language, and how everything runs, before you are thrown into the place where you are supposed to be leading a class. I liked having that touristy part and getting situated before we got to the classroom. We had 3 or 4 days in Mexico City, and went around to places like the Frida Kahlo House. 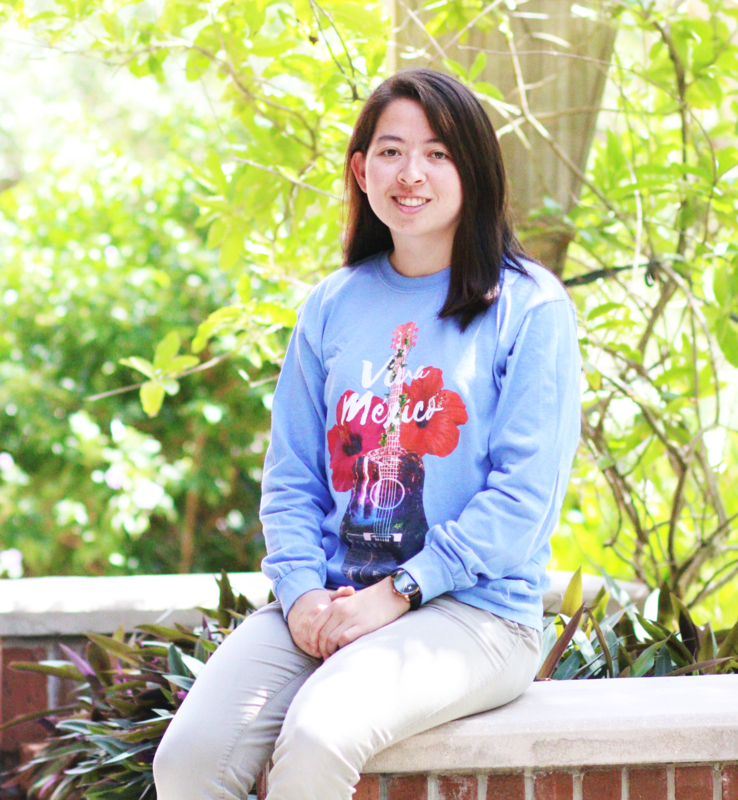 We had learned about her in the spring semester, so it was really cool to see what we learned about and see all of her things in the physical building. We went to museums and markets to buy some good things to remember the trip by. So, we were able to have a little bit of fun before we got down to work. We taught middle school aged students English and math. They already know two languages (Spanish and Tzotzil) so they’re way ahead of us there, and we’re teaching them a third! Some of them were pretty good with English already and knew some vocab words and numbers, and others were very basic or just shy with speaking a new language. We put together plans with the help of our professors and different groups like the Young Women Leaders Program. They came and talked about gender roles that might be different in Mexico vs the US, so we had to think about how we could go from our culture to theirs, and how it might change how we taught and interacted with the students. We had different activities and ice-breakers, they really liked playing basketball games. We just wanted to incorporate things that they enjoyed with what we wanted to teach them. Of course, prior to travel, we would have these beautiful lessons laid out with activities and lessons, but then we get there, they might already know half of the stuff we wanted to teach them that day. So, we had to reorganize and figure out how to add onto what they already knew or teach them some basics they had actually missed. We had a morning session of teaching, break for lunch, and then we would have the afternoon session. We were all teaching basically the same stuff, just at different times or different days. At lunch we would get together and talk about the sessions that worked well and exchange our knowledge with the people in other classrooms so they could teach that lesson a little better than we were able to. As a personal challenge, I’m not a huge fan of public speaking, but I wanted to go into this study abroad to challenge myself and throw myself into a position like that. I taught a class in freshman Symposium on my own with like 20 students or so, but this was adding on another variable that I don’t speak the languages they speak, and they don’t understand mine. 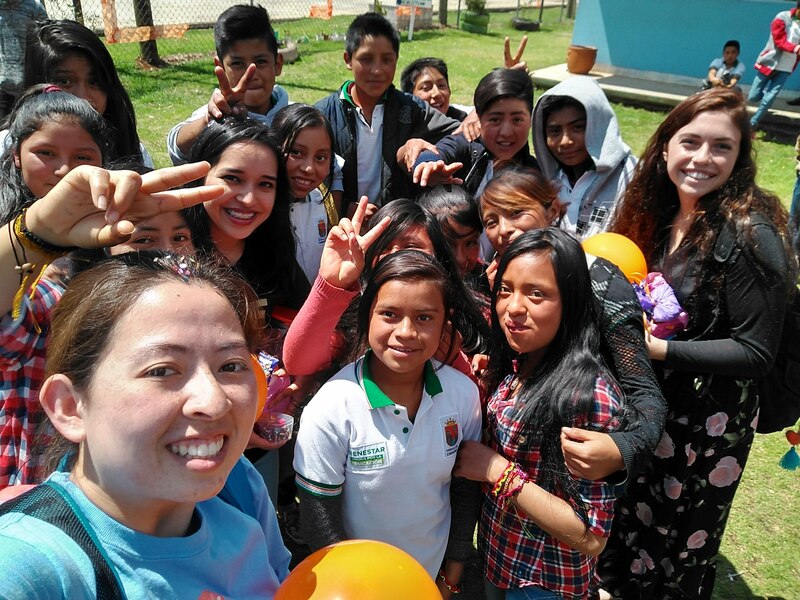 Something that helped us with that, was having our UNACH partners, the University of Chiapas students. 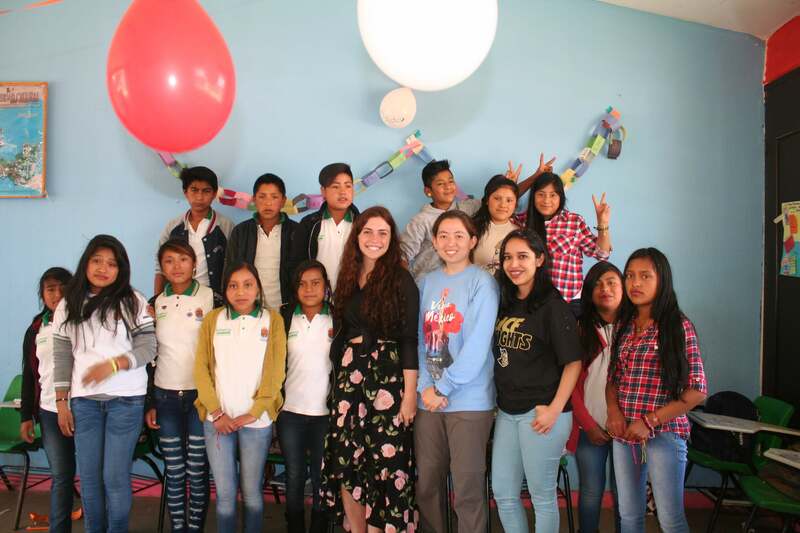 They are learning to be English teachers and they’re about our age, and we would have one of them in our classroom to be the bridge between us and the students we were trying to teach. They definitely made it easier; they helped us get over that challenge of having difficulty communicating with the students. Having the UNACH students was one of my favorite parts of the trip. 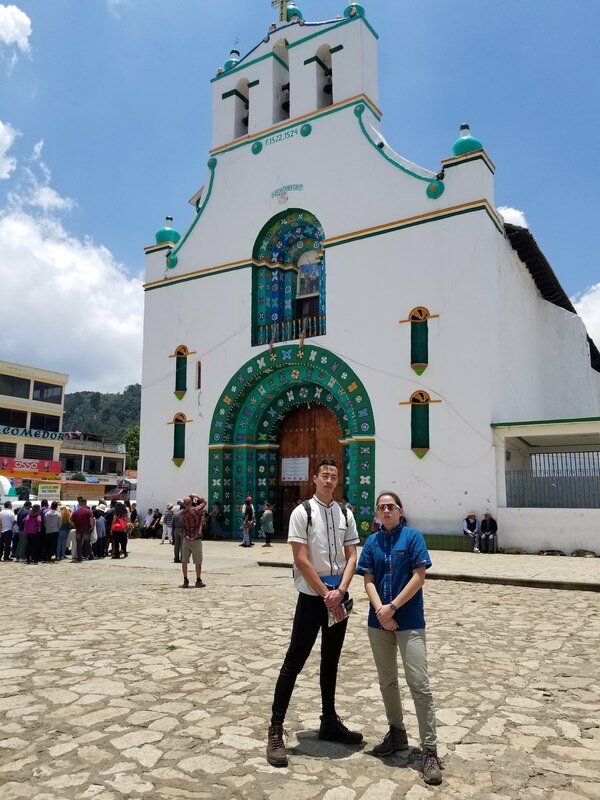 On other trips that I’ve gone on we’ve worked with full-on adults or very young kids, but here we had someone our own age that spoke very fluent English. On the nights after we taught classes, they would show us the town and take us to their favorite restaurants and places to hang out. One night we went up to a church at the top of a hill, and we could see the entire city. We still follow each other on social media, and keep up with everything, so it was cool to build those relationships. We taught them phrases, like in the morning they would say, “Good Morning” or “Hi,” and when we would leave they would say, “ I miss you, see you tomorrow.” The best part was the day we left, because of the emotions they were able to show on that day. Normally, they are pretty stoic. We knew they were getting a lot from what we were teaching them, but we just couldn’t quite tell. But on the last day, the children had gifts, and they sang for us, the whole school came together and waved goodbye as our vans drove off, so it was definitely a bittersweet moment but the most memorable. 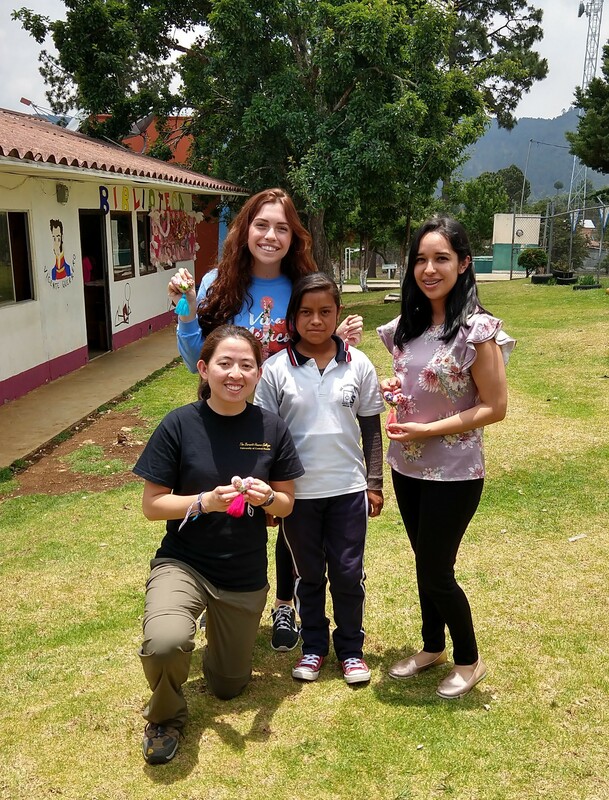 We also worked with Casa de las Flores, a shelter where young kids elementary school age could come during the day while their parents worked in town. They could play games there, learn some lessons, and it was their chance to get away from either working in the town as well or escape from other stresses in their lives. They would come there and play, eat some food, and have people that showed that they cared about them. We had a ball that we tossed around in a circle and each person would answer a question in the middle of the circle. They were self-affirming questions, like “what’s your favorite part about yourself?” or “what is something that you like to do?” to building up their self-confidence. 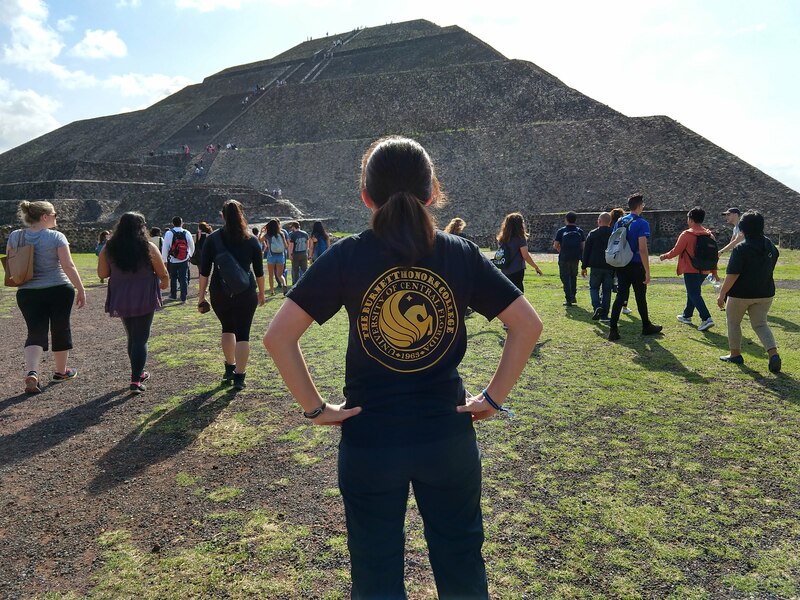 One of the day trips we went on was to the Teotihuacan Pyramids – it was a beautiful day, the sun was rising, it was good exercise climbing up all of the huge stairs. It was fun to go with all of the people we had spent a semester with. Getting to know someone in a classroom is a lot different than spending two weeks, 24 hours a day with them. Going on those fun little excursions with everyone was probably my favorite part of the trip. If you are interested in having an experience like Amy's next summer, apply now!